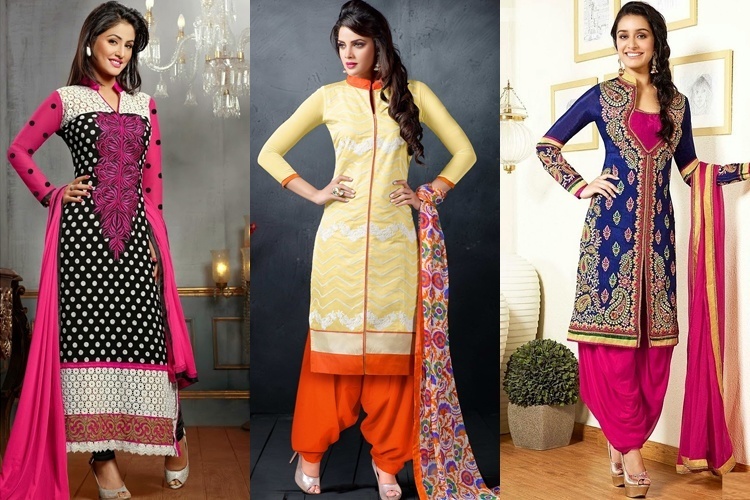 This Lohri festival look ultra gorgeous by selecting the right outfit idea for yourself! With the nip in the air not taking a name to leave, we have Lohri to warm up to. Lohri is when the whole family gets together and celebrates the oncoming of spring, bidding adieu to the cold vibe around and heralding the season of blossoms. While you would want to dance around like a fairy queen at the lohri gathering, dressing up chic is a must. And you have to stay warm and toasty through the evening and into the night too, which is why, we have a couple of stunning Lohri festival outfit ideas that could also keep you warm. Let’s take a look! For women that love their Anarkalis and wouldn’t want to make an entree to any of the Lohri parties without them, a fashionable feminine touch comes through with a beautiful Anarkali suit. Available in various shades, styles, cuts, layers and designs, Anarkali suits are best worn for very formal occasions and gatherings. Choose colors that are resplendent of the season, such as pinks and whites, pastels, pretty greens and yellows, blues and tangerine too. Layered Anarkalis can be worn with cropped jackets and coats, Nehru coats and shawls too, to keep warm! You can either choose sombre shades or the bright ones, floral designs or the elegant metallic touched ones and more, Patiala salwars would always be one of the most worn ensembles for any Punjabi gathering, especially at Lohri. Complete the look with heels and tie your hair into braids for the divaish desi kudi touch to come through. Colors that are most favored in florals would be peaches, pinks and reds. For formal Patiala salwars to wear, look for warm toned with a mix of gold or cool toned with prints and embroidery on them. Warm up the night and the look with a gorgeous Nehru jacket or a cropped coat! Thanks to the Bollywood industry, Punjabi shararas since 2016 have made a comeback and with a bang. They can be worn in the pure traditional way or with an Indo-western touch to them, and coupled with statement accessories too. Cropped tops and long sleeveless tops with flared bottoms work like magic. You could also have plenty of embroidery on the pieces or maybe one piece with statement embroidery on it too. A gorgeous mink shawl can be a statement accessory to warm up with! 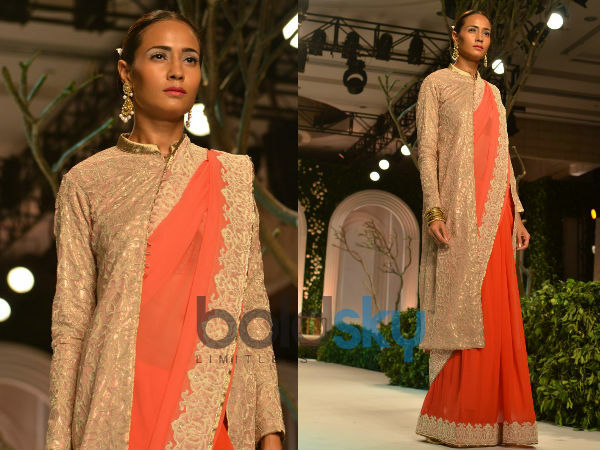 For the love of salwar suits and if you aren’t too slim, you could opt for box sized salwar suits that contour the body pretty well and makes you look shapely too. Choose fabrics such as sheer and lace over the bodice and pants in silk. Complete the look with heels or jhuttis for the night, and a statement touch to the neck or the ears as well. A warm touch comes through with a chic stole wrapped around or a netted shawl! Sarees can be worn and draped in many ways, and all you need is a mind that runs amok fashionably with ideas. To keep warm and toasty in your gorgeous saree, pairing the ensemble with a coat- long or short, and in accord to your body frame would be a great way to make a Lohri fashion statement at the formal bash and dos.